The close of the gardening season is always bittersweet. Though there are few more beautiful places on earth than Wisconsin in the autumn, it’s hard saying goodbye to the lush, green world for one that's cold and white. Now it's time to reap the season's most abundant crop: leaves. One of the very best sources of organic matter is autumn leaves. Leaves are packed with trace minerals that trees draw up from deep in the soil. When added to your garden,leaves feed earth worms and beneficial microbes. They lighten heavy soils and help sandy soils retain moisture. Leaves make an attractive mulch in the flower garden. They're a fabulous source of carbon to balance the nitrogen in your compost pile. 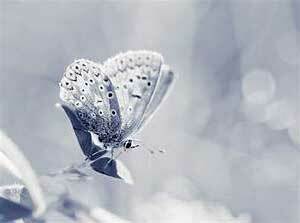 And they insulate tender plants from cold. Here are 7 ways to put autumn leaves to work. Put your leaves to work right. Leaves mulch suppresses weeds and eventually decomposes and feeds the soil. First, shred up as many of them as you can. If you don't have a leaf shredder, the leaves pile up on the lawn and then drive over them a few times with the lawn mower. Shredding one leaf into five or ten smaller pieces does several good things. It increases the surface area, giving microbes many more places to work. It prevents the leaves from packing together into layers that won't let water or air penetrate. And it reduces the volume dramatically. Distance between honey bee Apis mellifera colonies regulates populations of Varroa destructor at a landscape Inter-colony distance of Apis mellifera significantly affects colony numbers of the parasitic mite Varroa destructor. Winter feeders can be a significant boon to your hive. By creating a box that will be insulated, have a moisture absorber and contain a top entrance, it is a one stop addition for the wintering of hives in a northern climate. How To Protect Your Bees From Ants *What can you do to stop ants from invading your beehive? If ants are a problem in your area, read on to find out the best strategies for keeping them out of your hives. If you want a yard that demands less time money and water consider low-maintenance grasses in lieu of the traditional lawn. A No Mow Lawn thrives in most soil types and light conditions, including moderate shade however it does require requires good drainage and will not tolerate standing water for more than a day or two at a time. If you read the article in the last newsletter, Know Your Roots, you will understand the many advantages of seeding native grasses in place of your non-native lawn. The best time to plant No Mow lawn seed mix is between August 20 and October 20. Fall seeding is strongly recommended, ideally when daytime highs drop below 80 degrees. The fescue grasses germinate during the cool, often damp fall months. Most weeds germinate in spring, so fall plantings typically have far fewer weeds. For a successful planting your site will need to be well prepared in advance. To prepare your site for planting, all existing vegetation must be killed or removed. 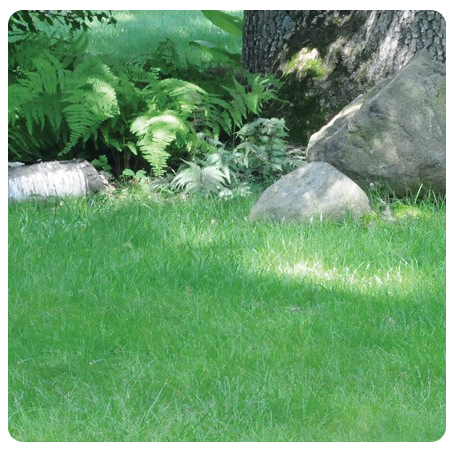 Existing lawn grass, weeds, and other plants will compete with the No Mow seeds for nutrients, moisture, and sunlight. 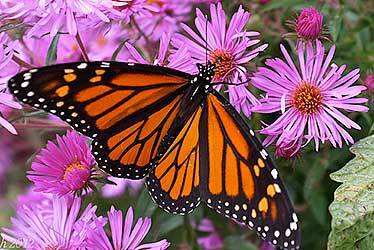 All perennial weeds must be eliminated prior to seeding. Prairie Nursery has a helpful document on getting started with a No Mow Lawn. 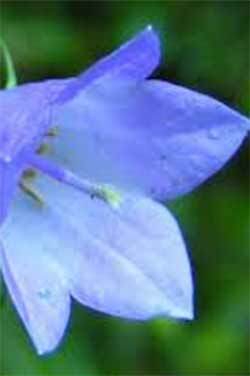 The deep blue flowers of Harebell dance on summer breezes and often bloom again in the fall up until the first hard frost. The nodding bell-shaped flowers hang on wispy thread-like stems that grow in clusters. Although demure in stature, Harebell is one tough cookie. Extremely drought tolerant, Campanula rotundifolia loves dry sandy and gravelly soils making it a good species for rock or xeric gardens, and semi-shaded slopes. Midwest landowners who want to help honey bees and monarch butterflies have a unique opportunity through The Bee & Butterfly Habitat Fund’s SEED A LEGACY Pollinator Habitat Program. The updated program expanded in 2018 to include 11 states. Landowners and beekeepers work together to provide cost-effective, high-quality pollinator habitat to ensure honey bee and monarch butterfly populations thrive. Enrollment is open to public, private and corporate landowners in Illinois, Indiana, Iowa, Kansas, Minnesota, Missouri, North Dakota, Nebraska, Ohio, South Dakota, and Wisconsin. These states were selected based on their critical role to address National Pollinator Partnership Action Plan goals.